UK Release Date: 30th October 2013. Plot: Thor battles an ancient race of Dark Elves led by the vengeful Malekith who threatens to plunge the universe back into darkness. This is the first action packed trailer for Thor: The Dark World, which sees the Norse God return to Earth, as promised, to see Jane Foster and whisk her back to Asgard with him. The trailer doesn’t really give too much away and leaves a lot of questions to be answered but it sets the seeds for a great story. I’m pretty interested to see why Thor just decides to take Jane with him to Asgard rather than let her stay on Earth, presumably Asgard is the only safe place in the Nine Realms, despite the fact she seems to get captured later. However, I get the impression I’m really gonna hate Natalie Portman in this. In the first film she was a pretty smart woman, a scientist who was so good in her field that SHIELD wanted to contain her. Now she seems to have transgressed to ‘damsel in distress’. I am looking forward to see the relationship between Jane and Lady Sif which should be interesting. Sif didn’t look too pleased that Jane was hanging around with Thor. Also, we didn’t get to see too much of Christopher Eccleston but what we do see looks extremely positive. Is A Black James Bond A Real Possibility? “The name’s Bond, James Bond” is one of the most iconic lines in cinema history, almost as iconic as the man himself who says it so often. James Bond is a figure known all across the world, a British Secret Service agent that has saved the world and defeated villains countless times. The Ian Fleming creation has spawned twenty-three canon films and has been played by six different actors, all of whom have been white. Sean Connery, George Lazenby, Roger Moore, Timothy Dalton, Pierce Brosnan and today’s Daniel Craig have all donned the suit and the suave attitude to play the most famous spy that the world has ever seen. But once Daniel Craig steps aside is the path paved for a black actor to take on one of the most famous cinematic roles in history? It certainly looks as though this is now a real possibility where it has never really been given any thought before. Skyfall Bond girl Naomie Harris has let is slip that a black actor has been met by producers to talk about taking on the part, despite Daniel Craig having a contract for another two films. The actor in question is the phenomenal Idris Elba, who would certainly be an inspired choice as his stock continue to grow in Hollywood after roles in huge blockbuster films such as Thor and Prometheus. Harris is quoted in The Huffington Post as saying “it does seem like there is a possibility in the future that there could very well be a black James Bond. And I would have to vote for Idris because I just finished working with him and he’s a great guy”. I thoroughly believe that the colour of his skin should not be an issue for the casting choice but let’s not forget all the uproar that was caused when Daniel Craig was cast just because he had BLONDE hair! But this is something that Idris Elba has mentioned and spoken about before, in October 2011 he stated “I don’t want to be the black James Bond. Sean Connery wasn’t the Scottish James Bond, and Daniel Craig wasn’t the blue-eyed James Bond, so if I played him, I don’t want to be called the black James Bond”. This makes complete sense; it should be his ability to act as the famous James Bond character that should see him either accepted or declined for the role. Unfortunately I have been on a few fan forums and a lot of James Bond fans seem to be against this idea with some even saying that this would lead to a ‘gay, then female’ James Bond. Some fans say that making Bond black would go against the creation of Fleming but things are changing in the modern cultural climate and character’s do not stay the same forever. M was once a man in the films, now is a woman. Although I do believe that film fans can be fickle and in the end, if Elba played the part well enough there would be a lot of people backtracking on their previously held opinions. Let’s not forget that it does appear to be a kind of underlying rule that a Hollywood hero must be either white or Will Smith. This would be a great opportunity for James Bond to not only take their own franchise and name forward but help pave way for better roles for black actors and a more equal chance for actors despite what their race may be. It is unclear when in time the meetings took place between Elba and the Bond producers, it could even have been before they signed Daniel Craig on to two more films or it could have been after. It is also unclear whether Elba is the only person producers have met with or whether there have been others (black or white actors) who have been approached with a view to replacing Daniel Craig when he eventually steps down. Although, with critics already calling Skyfall the best Bond ever you have to think that fans will want to see plenty more of Craig before any considerations get under way as to who will be next in line. “Prometheus, are you seeing this?” asks Noomi Rapace’s character scientist Elizabeth Shaw and yes I saw it, but there is a huge difference between seeing something and enjoying it. Prometheus is an indirect prequel to the Alien series. This film focuses on a team of explorers who discover a clue to the origins of mankind on Earth that leads them on a journey to the darkest corners of the universe. There, they must fight a terrifying battle to save the future of the human race. Sounds interesting. 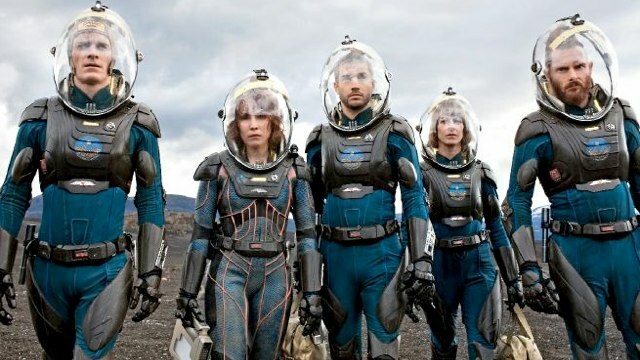 As mentioned, Noomi Rapace leads this cast that really manages to pack in the noticeable names: Michael Fassbender, Charlize Theron, Idris Elba, Guy Pearce, Rafe Spall and even a small part for Patrick Wilson. With so many experienced cast members being directed by the hugely acclaimed (although in my opinion drastically over rated) director Ridley Scott big things were expected from everyone, especially taking into consideration the success of the Alien film directed by Scott himself. The film opens with a series of long, wide and very scenic landscape shots and this is a theme that the film will follow throughout and every time we see a large shot of the planet that our heroes find themselves on it looks fantastic; the directing and camerawork means that Prometheus is incredibly pleasing on the eye with some of the best environmental shots I’ve ever seen. The special effects follow suit and are so real that it doesn’t matter how far in the future the crew of Prometheus (the ship which the film is named after) are, it feels and looks as though it could happen today, the effects are believable. Unfortunately Prometheus has one huge flaw and one that I can not look past: every single one of those characters lacked any kind of personal motivation; their actions seemed uninspired. Noomi Rapace’s character, the main character, spends the first half of the film doing not a lot at all and then spends the second half running away from things and holding her stomach all the time. And this is who you are supposed to empathise with and support, not really your traditional hero. I couldn’t have cared less about her partner, whoever he was and Charlize Theron’s character was ridiculously under used to the point where it seemed like if you took her out of the film no difference would have been made. In fact, the only character that I felt was worth watching, partly because of the portrayal of the actor, was David, the non human member of the crew portrayed eerily well by Michael Fassbender. Another good performer among the cast was Idris Elba, relatively new to big budget films after carving his career out on television but deserves all the success that comes his way, although killing off his character just seemed like something to do rather than having any impetus behind it. A stand out scene is when Shaw gives birth to an alien life form and while the rest of the film around that moment seems rather boring this scene is anything but! She doesn’t have a lot to do everywhere else but here Noomi Rapace earns her salary hands down; the trauma and pain her character is going through comes across excellently on screen. Sometimes, poor films or films you don’t enjoy have one glimpse of brilliance and this is Prometheus’. 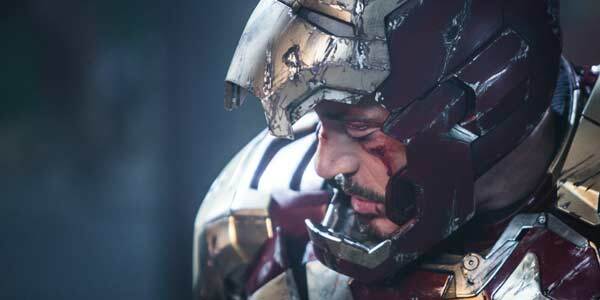 I would go so far as to say this is one of the best scenes I have ever seen in the cinema. 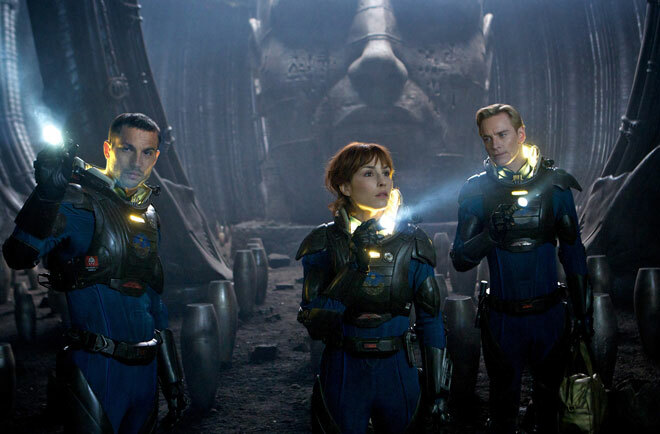 Does Prometheus live up to expectations? Not really. Is Prometheus an enjoyable sci-fi film? Ish. Would I watch it again? Not for a while. I really wanted to give it a higher rating but I just couldn’t justify it.